Cropped, high-waisted, and preferably wide-legged. Lately, I can’t wear my denim any other way. This pair is the latest in my growing collection of denim of the exact aforementioned specifications. Unique to these are the super frayed hem that give them a perfectly lived-in, edgy vibe. 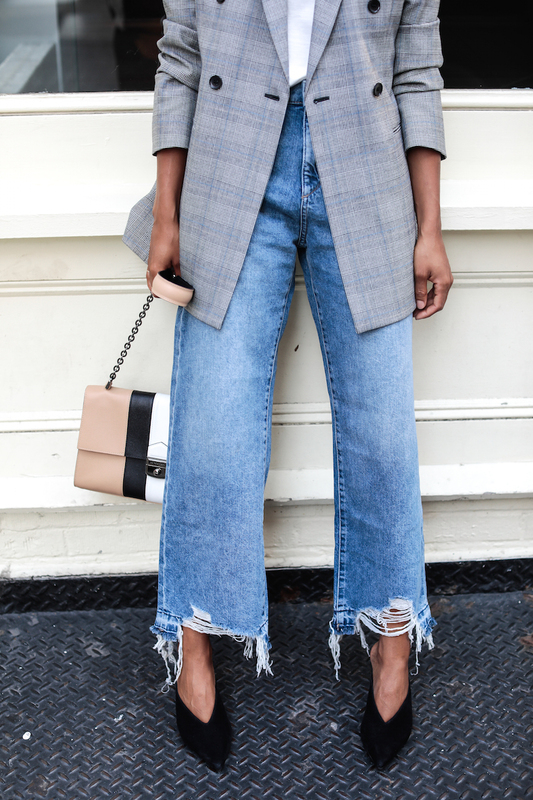 I like pairing them with more polished pieces like this oversized blazer and dainty heel, but they’ll look equally amaze with a crop sweater or band tee. Bloomie’s has been a denim source for me since my early days working there as an assistant buyer. 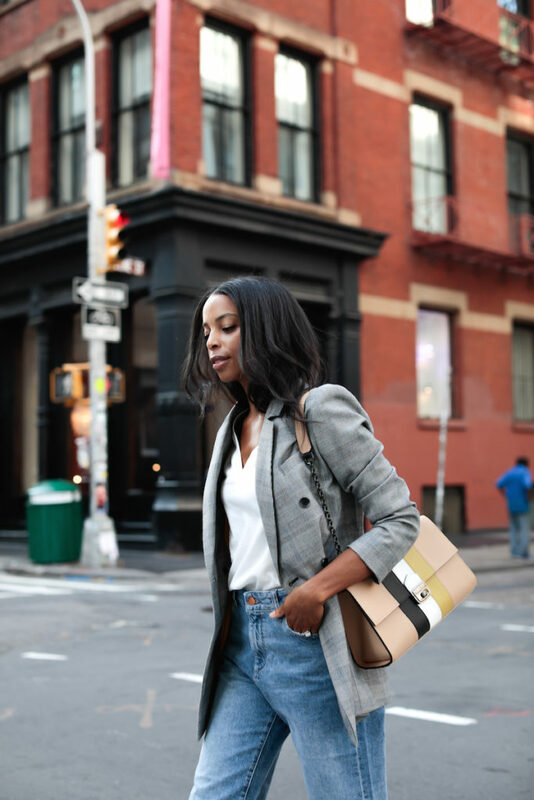 It was my very first job out of college and it was where I learned about all the cool and classic denim brands that a woman should invest in and have in her arsenal. I still have my very first pair of “designer” jeans that I purchased with my first pay check—and it looks like bootcut might be making a comeback! Lol. 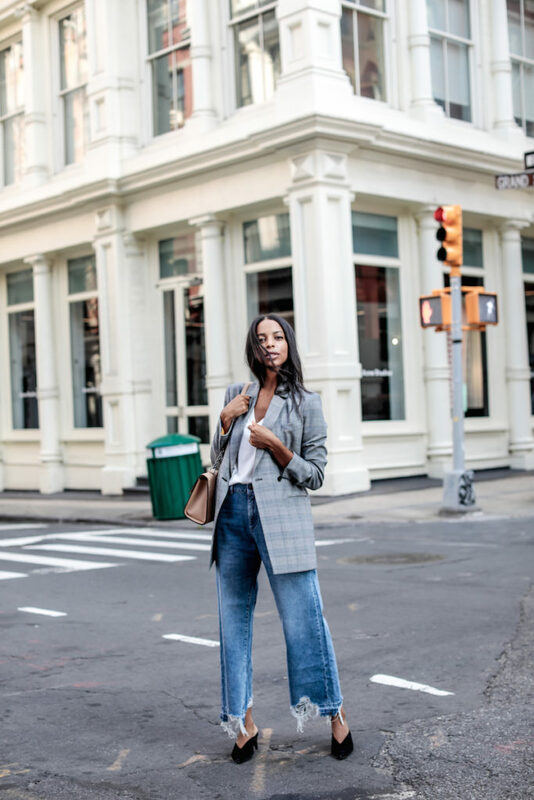 You can get my look above and shop a few other cropped/high-waist/wide leg wonders I’m currently eyeing from Bloomingdale’s. 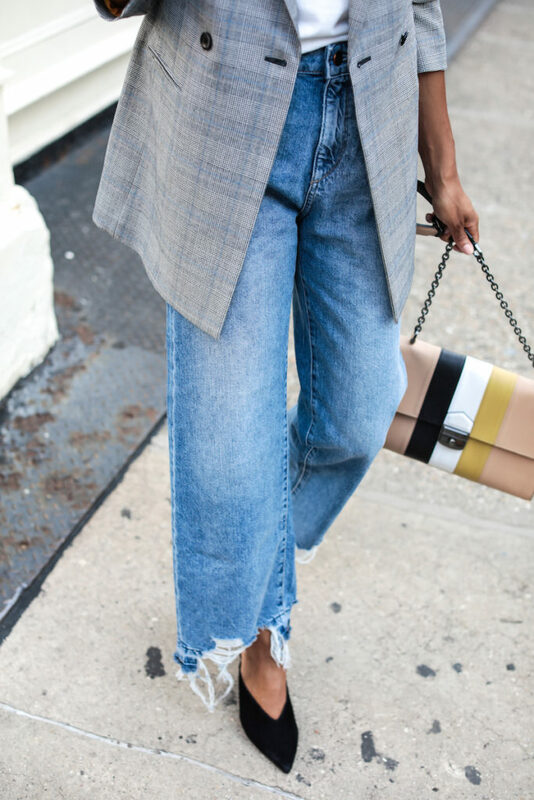 To me, they’re the perfect denim trend to wisk you right into fall. A little breathing room and a peak of skin for those still warmish days. Lovely post! 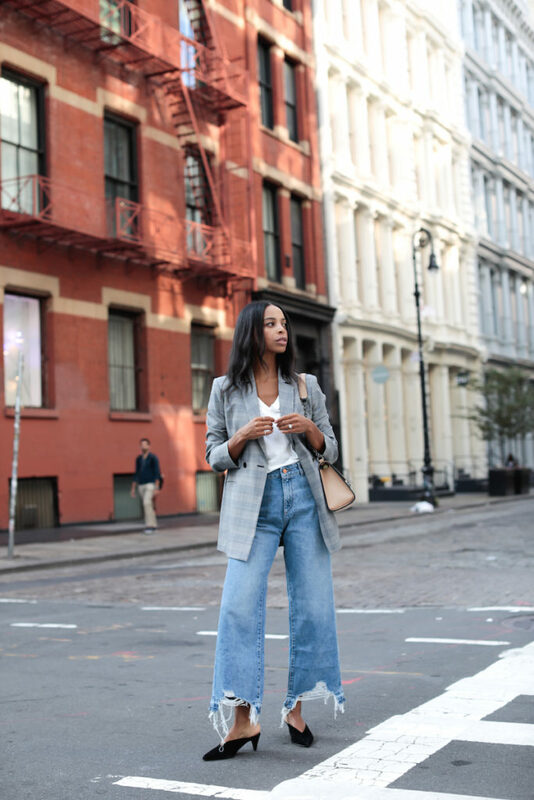 I’ve been obsessed with jeans like this for a while..
You give me great styling ideas! Love love love! Each piece is such a solid staple!